How involved is the editor in the art process for picture books? Can you speak to the process of getting an agent or an editor as an illustrator? Do you use your editor as a sounding board in creating new projects, or do you simply present them with the finished project and work with them through revision? With picture book stories being so short, how much influence does an editor have over the text? Does a lot often get changed? If you aren’t an author-illustrator and your agent is only shopping the text of a manuscript, how does the process of finding an illustrator work? Does your editor handle that, too? Do you get input on it? What sort of changes will an editor often request of a picture book manuscript? You mentioned it’s a really collaborative process, which is awesome — do you ever feel nervous or anxious about voicing your opinions? If so, do you have any tips for overcoming these jitters? Has having kids changed how you plan and develop your books? Both in terms of time, but also in terms of ideas. Have you had any story ideas rejected by your editor? How do you handle those situations? I’ve heard lots of interest in non-fiction picture books as a trend, have you ever incorporated non-fiction elements into your PBs or do you have plans to? Have you worked with many editors? If so, what sort of differences in style have you noticed? What advice or tips would you give your “younger” self now that you have experience under your belt with agents, editors and getting published? 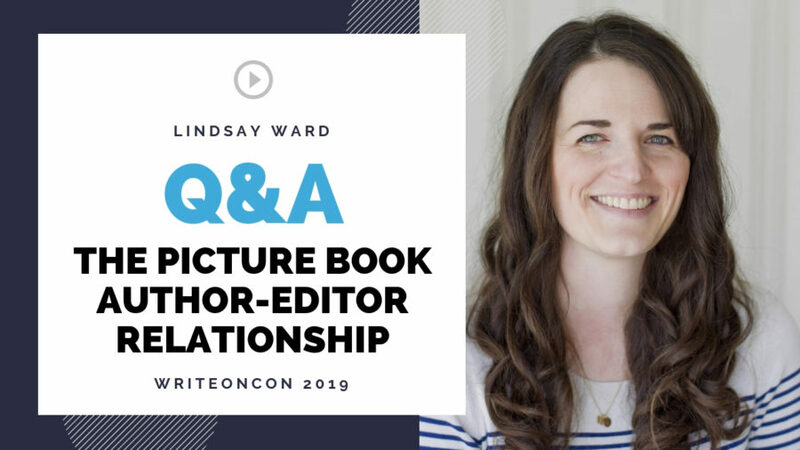 Has your relationship with your editor changed since your first picture book? Do you find the suggestions/notes you get have changed since you started as you’ve grown as an author?